Ways you can place things, relative to other things. Something is above something else it it is higher up. 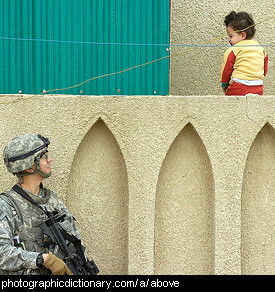 In the picture, the child is above the soldier. Something is ahead of you if it is in front, or perhaps in the future. 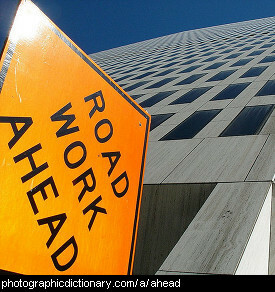 For example, "you are getting too far ahead of me" or "my schedule is running ahead of time". Askew means that something is crooked or uneven. 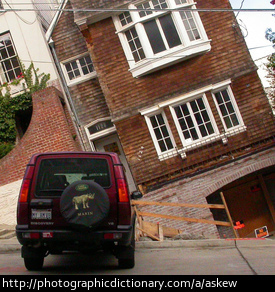 The house in the picture is askew. Something is behind you if you cannot see it - your back is facing it rather than your front. 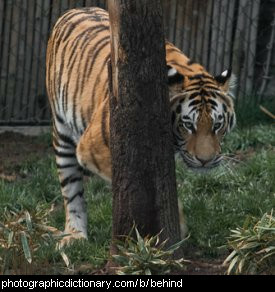 The tiger in the picture is behind a tree. Something is below something else if it is lower down than it, with the other thing above. 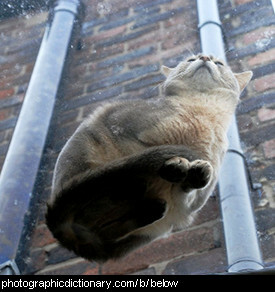 This photo was taken from below a cat. Two things are beside each other if they are next to each other, facing the same direction. The two women on the bench are sitting beside each other, or side by side. Something is between if it is in the space in the middle of two other things. 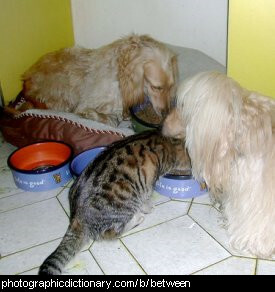 The cat in the picture is eating dinner between two dogs. The bottom of something is the lowest point. 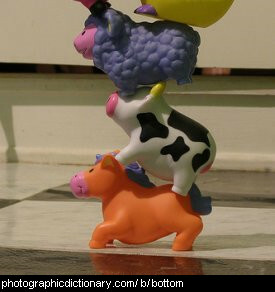 The orange horse is at the bottom of the stack of toys. Bottom is also a slang term for your buttocks. The center of something is the midpoint, equally distant from all the edges. 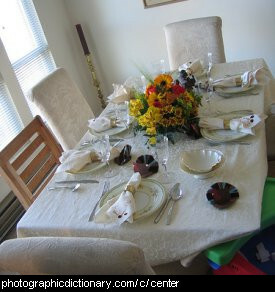 The vase of flowers is in the center of the table. Corners are where two or more surfaces or lines meet, usually at right angles. A square has four corners, a cube has six, and a circle has none. 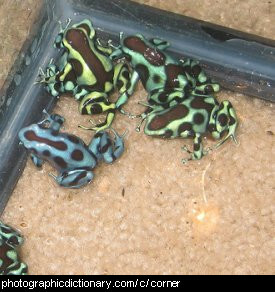 The frogs are hiding in the corner of their tank.